In loving memory of “Daisy Lou”, my fur niece and the fur daughter of my dear friends Rebecca & Irene, who taught me long ago that it is not flesh and blood that make us family. I am grateful that for the final seven years of her life, Daisy finally had a *family* worthy of her love and devotion who appreciated her for the uniquely wonderful gift that she was. I hope that Rebecca and Irene will take comfort in knowing that no dog was ever more adored or better cared for. I know for a certainty that Daisy, dear Walter and Lucky, and all of the other most precious furry ones who are no longer with us physically nonetheless remain forever an inextricable part of us, just in another form. 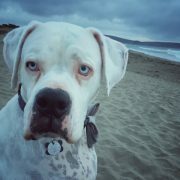 In loving memory of my sweet boy, Blu, who taught me that love and compassion should be the drivers of your life. Blu was my constant, my best friend, and it felt like I was connected to him on such a deep level. I miss him everyday. But I know that someday…more doggies…more Boxers are bound to fill my life with more love and joy. Blu was a special boy and will never be forgotten. In loving memory of sweet Agatha. Thank you for letting us pet, cuddle and love you. In tribute to Anna for being a selfless doggie mother and friend. In loving memory of Richard. He and his wife, Marcia sure loved their boxers. The best doggie parents ever. In honor of you Richard my dear friend. 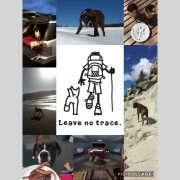 Your love for rescue boxers, and the unconditional love you and Marsha gave them. Rest in peace my friend! Sweet Walter, thank you for all the love and joy you brought your family. You will be missed. In memory of my sweet friend Roseanne Robertson on the anniversary of her leaving this earth to play with all her fur babies in heaven. I miss her. In memory of Celie, a beloved four-legged friend of our dear two-legged friend. 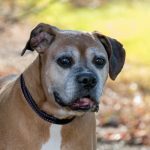 She was loving, loyal, and joyful, and we know that her absence will feel like your heart has disappeared. We hope that with time this pain can be soothed by happy memories, and the love of your friends and family. 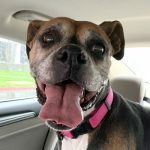 Mary has been a lover of Boxers and a wonderful dog mom for many years. They bring her joy and I hope this gift spreads that joy to other Boxers in need. On this your 14th birthday, we are heartbroken but only for such a time that your spirit finds its way into mending them. You filled our lives and our home with silly antics, odd sounds, loud snoring, outrageously timed ‘woo-woo songs’ but most importantly, unconditional love. Wherever your spirit rests we hope you know you are missed and loved to no end. You are an integral and irreplaceable part of who we are as a family. We will keep you in our hearts and among the fleeting yet joyous memories you created with us until that day when we should all find each other once again. So Ka’ihe, our Pup-Pup, Mommy’s Fearless Protector and The Spear who knew absolutely NO bounds…THANK YOU. Thank You Puppy for 13 years of love, joy, confusion, irritation and all manner of frustratingly indescribable emotions. Emotions which you were the root cause of but which we so readily and more importantly HAPPILY accepted by your unwillingness to be anything less than what you were. Our bounding, unbridled, headstrong and at the perfect times, comically uncoordinated bundle of Boxer joy. From now until we meet across that bridge, we love you always. 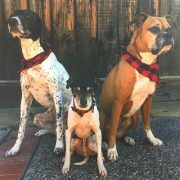 In honor of Anne Marie & Alex’s many years together and many years of bringing Boxers into their family. Sara and Randy: Congratulations and Best Wishes for your Future. On this day, remembering best of times with BOGART! Sarah and Randy, so happy for you guys. 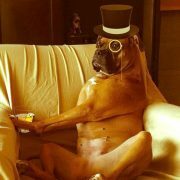 Here is a little something back for all you do and have done in the name of animals and especially boxers. In memory of Turbo. He was loved. Here’s to a memorable wedding ceremony and a lifelong partnership. These two dog lovers had 4 dogs (RIP Sprig) and are such great doggy parents. Here’s to Daisy, Layla, and Booger (in the foreground). In Memory of Ian, quite a character and lover of doggies. RIP duder, you are gone far too soon. Say hi to Lady, and all the others on the other side. In loving memory of Judith M. Yonan from her friends in School-to-Career. 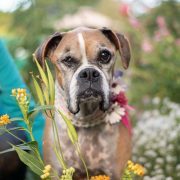 To the sweetest, wiggliest, silliest, slobberiest lady boxer that we were lucky enough to call our friend. We miss you SO much already. See you on the other side, sweet girl. 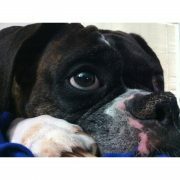 In loving memory of our Boxer Bugsy. Happy Birthday!! In loving memory of my little Sis, Roseanne Robertson, on what would be her birthday. I know she is dancing with the angels and hugging all of her beloved fur babies that have gone before her. 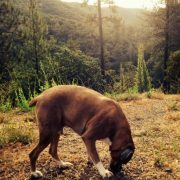 In memory of Ginger, my friend’s dearly beloved boxer. A small token in honor of our beloved Annie, with adoration of sweet Daisy and in appreciation to the NCBR team for all the kindness and compassion you bring every day. If you would like to set up a special tribute fund for a wedding, memorial or other occasion, please email us and we will be happy to work with you to meet your needs.